Ever since I had my first taste of hummus, I’ve been in love with the creamy, almost buttery taste of those blended little chickpea nuggets. While browsing the aisles of my local grocery store the other day, I had a “hummus brainstorm” (sounds scary but don’t worry, it didn’t hurt one bit)! Why not add some of my other favorite ingredients and come up with a mix that I could call my own? You know, my own signature hummus blend. I’d like to share with you the recipe I came up with and I hope you’ll love it as much as I do. It’s still buttery in flavor but has a slight zip to it that is like no other hummus I know of. If you’re anything like me, you wont be able to stop eating it! The good news is, it’s really healthy for you so you don’t have to feel guilty when you indulge in half the bowl 🙂 I like to eat mine with cut up veggies but it’s also fantastic with crackers and pretzels too! Heck, grab a spoon because it’s also great just on it’s own! -In a food processor, or high powered blender (I used a Vita-mix) add all the ingredients and blend until smooth and creamy. -If the mixture seems a little too stiff for your liking, add some of the reserved artichoke liquid in increments until you come to the consistency you like. 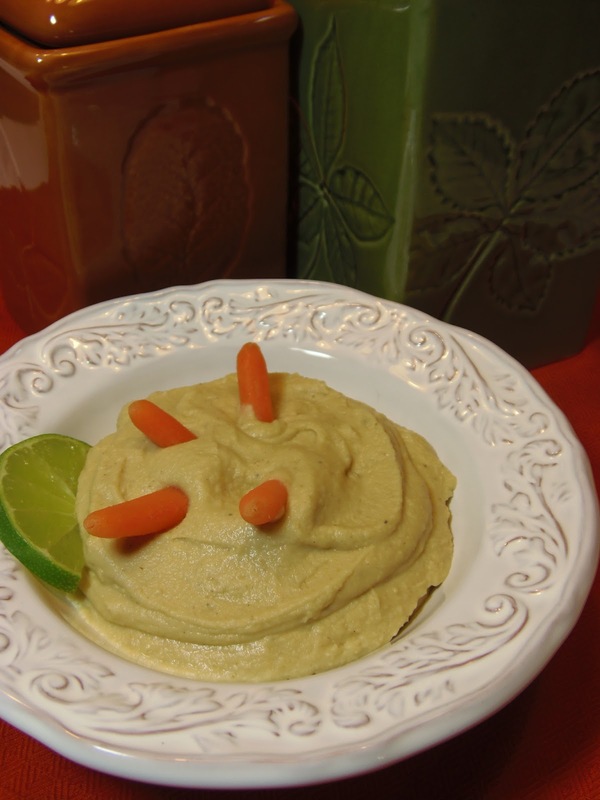 -Serve with assorted cut up veggies, crackers, pretzels, pita chips…you get the idea. Thanks for visiting. I truly hope you’ll try this hummus recipe and let me know what you think. I’d also love to know you stopped by, so don’t be shy about leaving me a comment to say hello! Hi! I’m Renée! Thanks so much for visiting me here in my Kudos Kitchen, where I like to inspire you with delicious family-friendly dishes which are easy to prepare as well as being a feast for your eyes, and your taste buds! yum – I am definitely trying this! Thanks for sharing! YUM! I love artichokes and hummus–sounds de-lish!